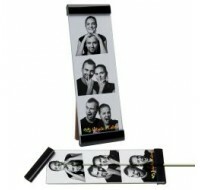 Cardboard Back and Glass Front for 2x6 photo strips. Just find your favorite themed design, c.. 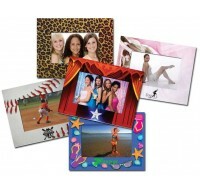 Holds 3 1/2" x 5" photograph horizontally or vertically. Digital clock, calendar & thermomete.. 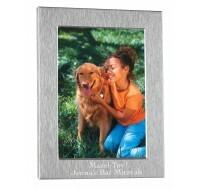 This sleek silver frame makes a great place card and take-home favor. You choose the message to h..
Made from heavy stock paper with an easel back, this frame is personalized for free with the back..
Specifiy one imprint area: Bottom: 1-1/2” x 1/2”; Top: 1-3/8” x 1/2” Item Siz.. 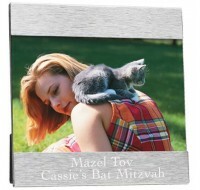 It's your bar mitzvah and you're the star...so why not show it in style? 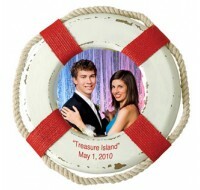 We'll print all your par..
Imprint Area 2 1/4” x 3/4” .. 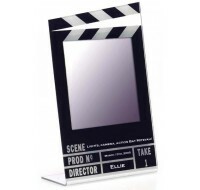 This modern aluminum frame makes a great place card and take-home favor. You choose the message t..